Peerless - BBC Pump and Equipment Company, Inc.
A Grundfos product. 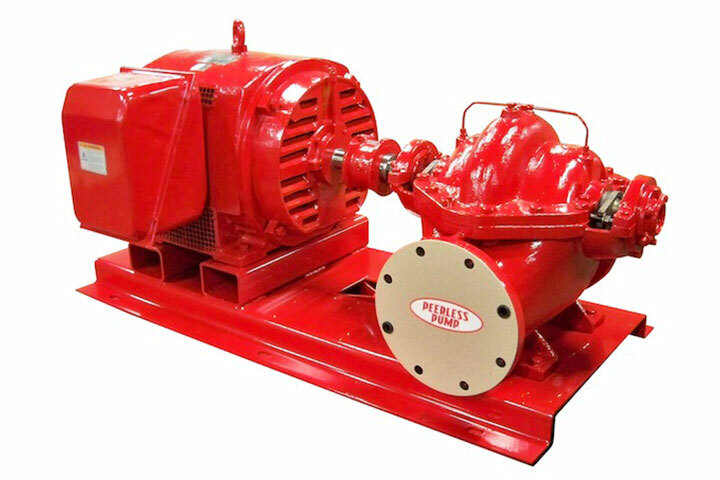 Peerless Pump is one of the largest manufacturers of pumps in the industry. With over 70 years of progressive Peerless designing, engineering and manufacturing, our pumps are proven with thousands of single and multiple pump unit installations around the world. Peerless has multiple configurations available for commercial, industrial and fire protection pump applications. Configurations include: Horizontal single and multi-stage split case, end suction, in-line, vertical turbine, mixed flow, propeller, sump and condensate pumps. Peeless offers packaged pumping systems, 8196 ANSI standard dimension industrial pumps, 8175 heavy-duty industrial paper stock and slurry pumps and 8796 self-priming pumps and more. Peerless Pump’s package system business provides the most sophisticated engineered-to-order turnkey pumping systems available in the world.